If there is one skill that results in more quality in marriage and longevity it is the skill of emptying the hand. I don’t remember the first time our new shiny new marriage got a scratch on it. Nor do I remember what the scratch was about. I do remember feeling a grudge and withdrawing into my own space. I also remember holding onto that grudge like it was worth a million bucks. What a blessing that after a few hours, my desire for reconciliation had grown in value to five million bucks and was getting more valuable by the minute. I also remember how easy it was to simply let go of the grudge (that only a few hours ago was the most valuable thing I had). The only way to hold my marriage was to empty my hand of my grudge. This is easier said that done but worth practicing. Empty your hands of whatever you are holding that is keeping you from holding your marriage: a grudge, anger, hurt, insult, a mistress (or mister) — whatever. 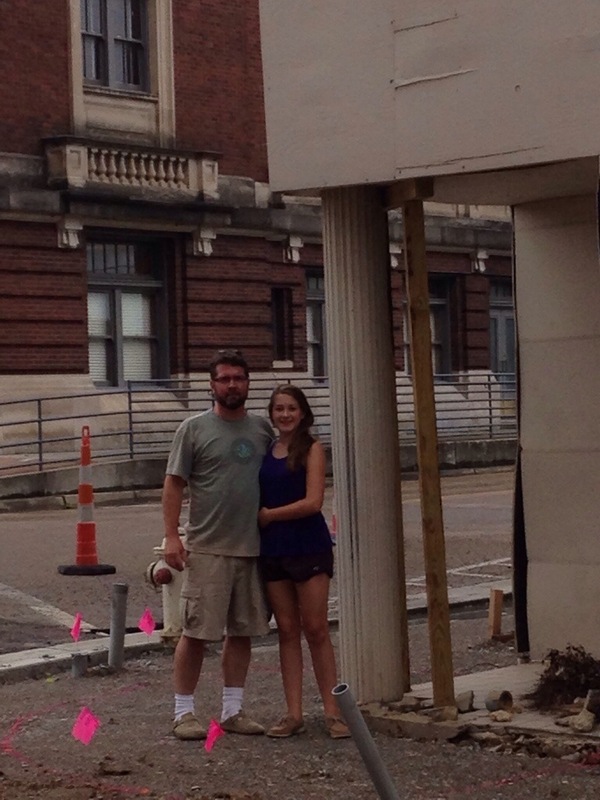 Here Anna and I are standing in front of the what is left of the Noble Hotel in Mississippi. It will soon be lofts. 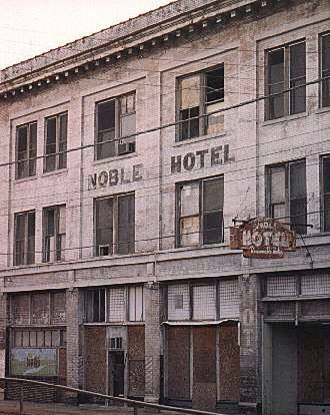 My grandfather “L.B.” wrote my grandmother Dontis on stationary from this hotel. I have the letter wherein he pleads for reconciliation after an apparent argument. I don’t have her response but I do know that they did not reconcile. I lived the impact that had on my father and I am convinced that whatever they were holding onto (other than their marriage), it wasn’t worth it. Incidentally, a grudge can feel really good. So can anger. How many wasted hours I have spent re-living what I should of said or imagining some ill-fate onto someone that I believe has injured me in some way. Often, letting go is a sacrifice. Let go anyway.